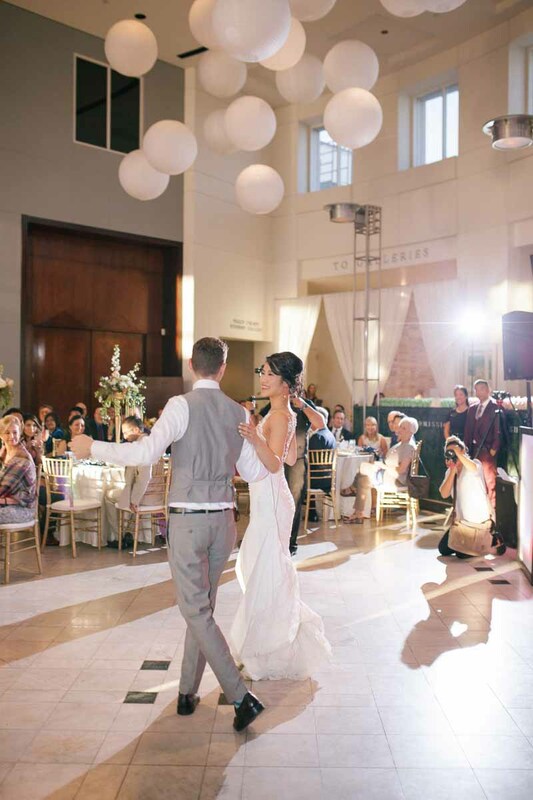 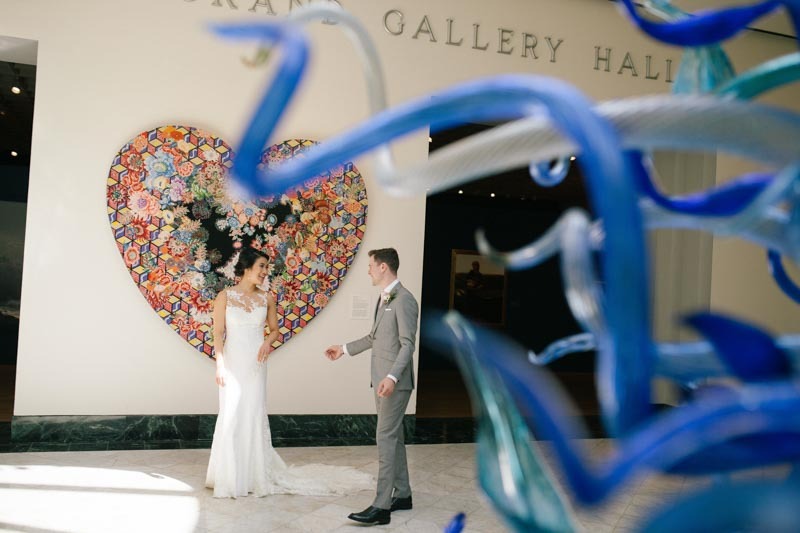 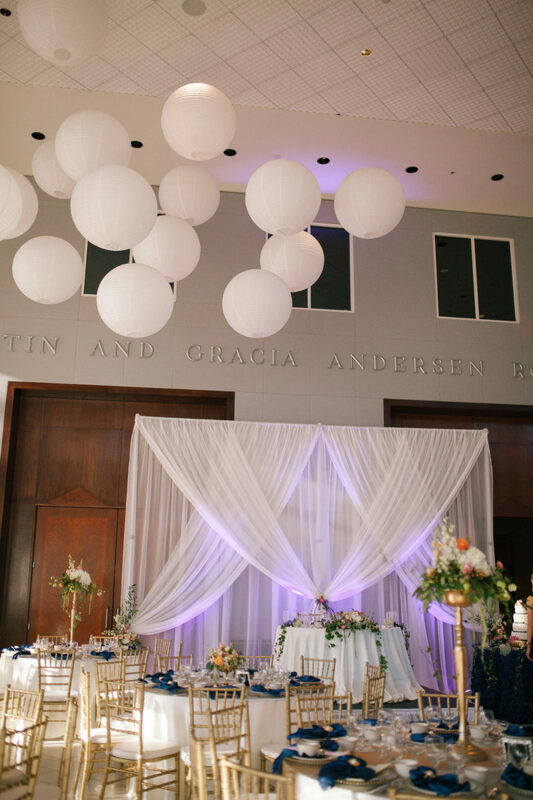 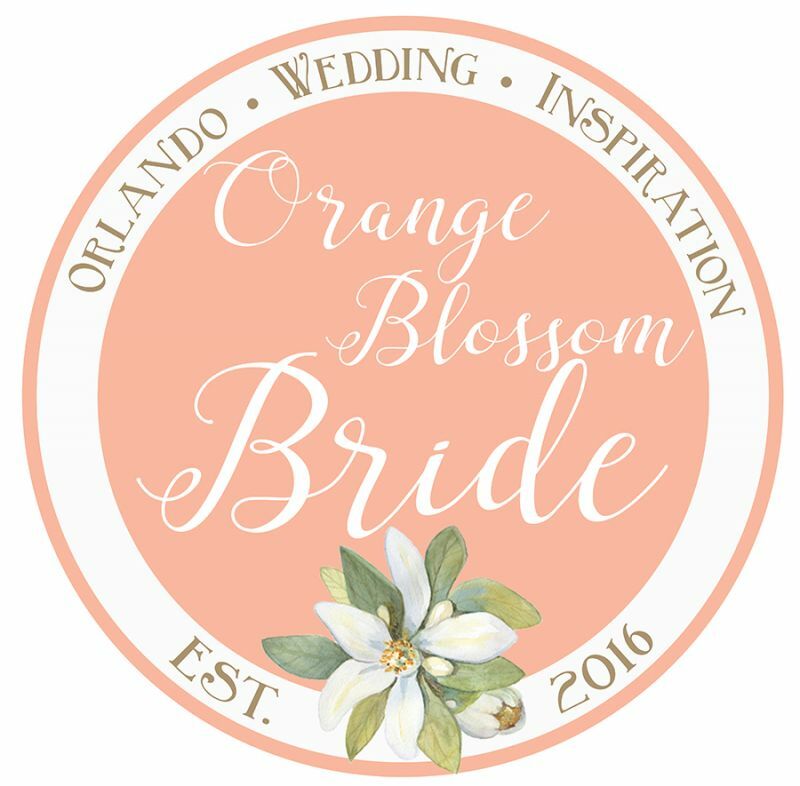 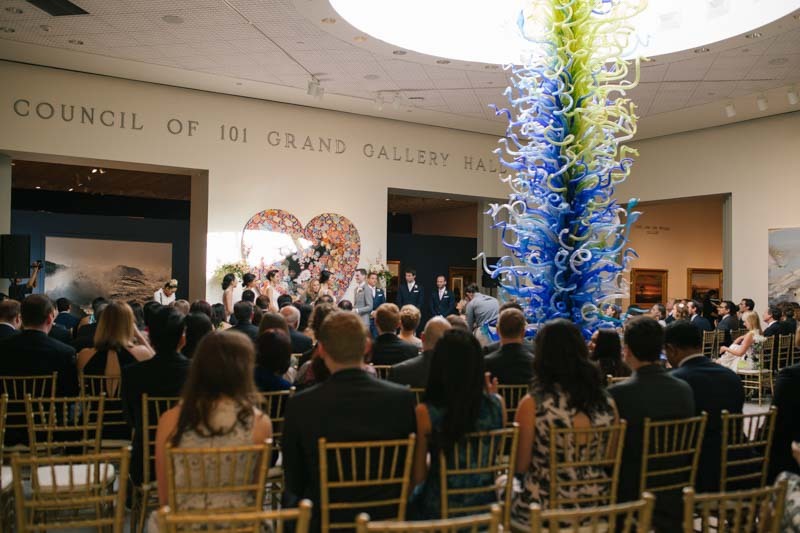 Casey and Stuart's wedding at the Orlando Museum of Art was a beautiful mix of cultures. 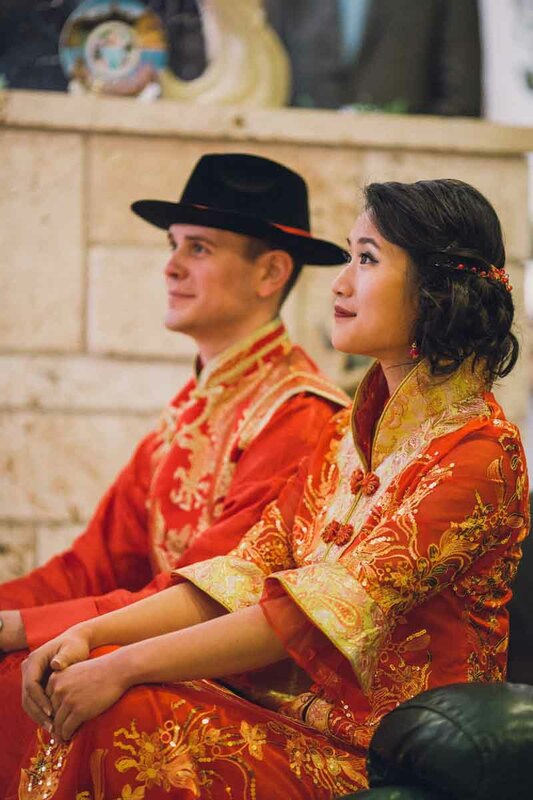 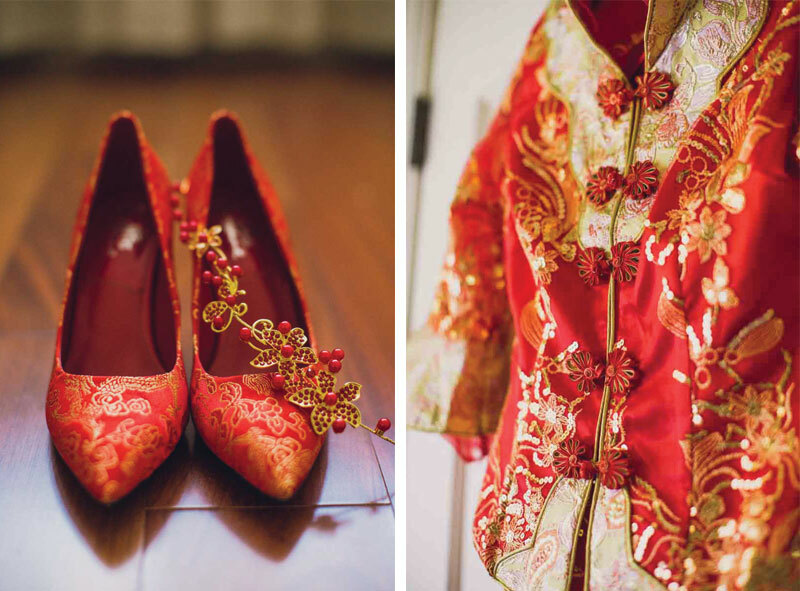 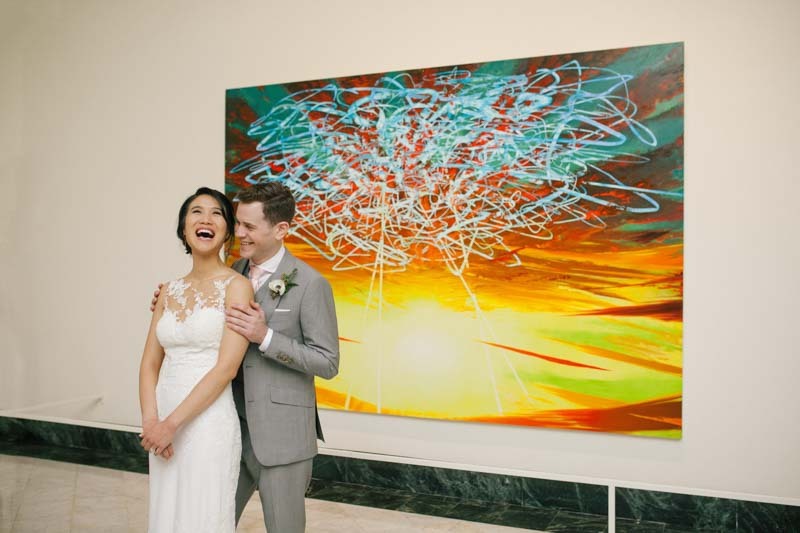 The bride and groom incorporated both Eastern and Western traditions into their special day, finishing the day with a Western ceremony and reception in the midst of friends, family, and dazzling artwork. 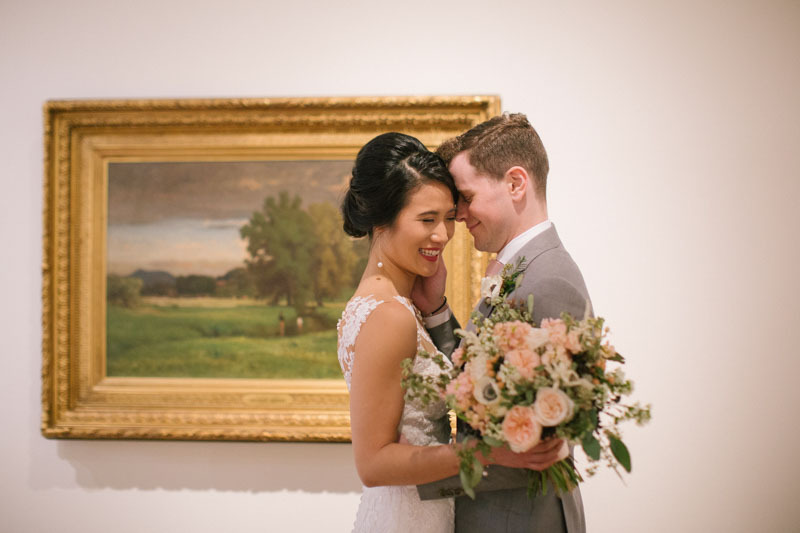 After a few sweet photos around the museum, Casey and Stuart were ready to celebrate with their loved ones! 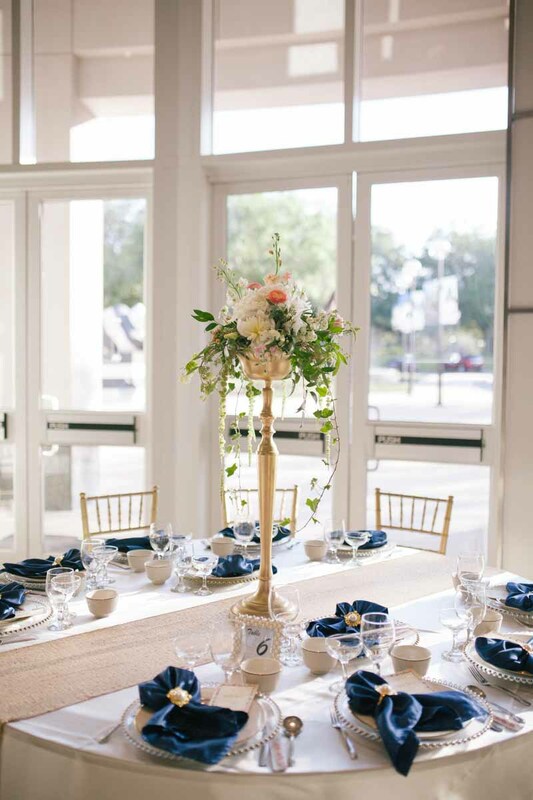 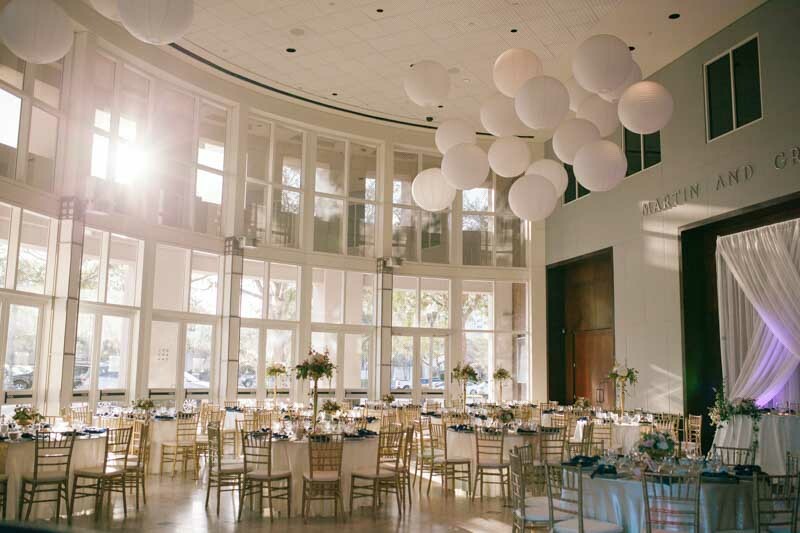 The reception space was gorgeous, with floor to ceiling windows, gold chiavari chairs, and towering floral centerpieces. 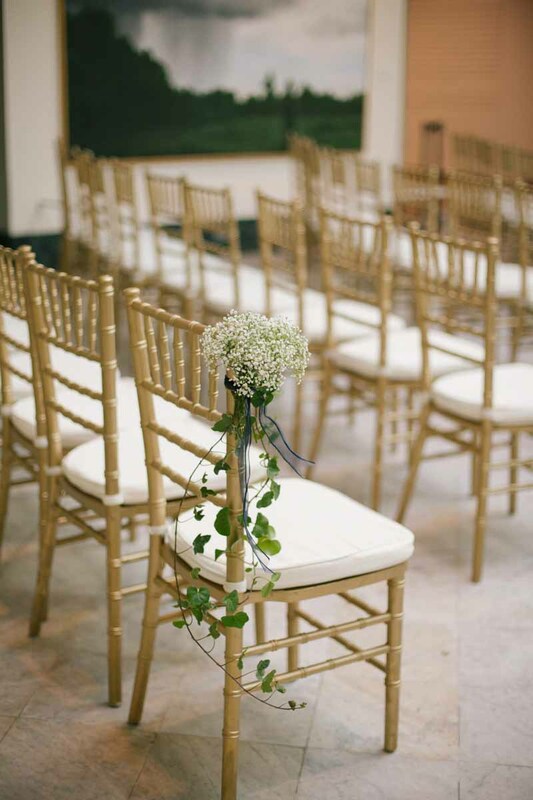 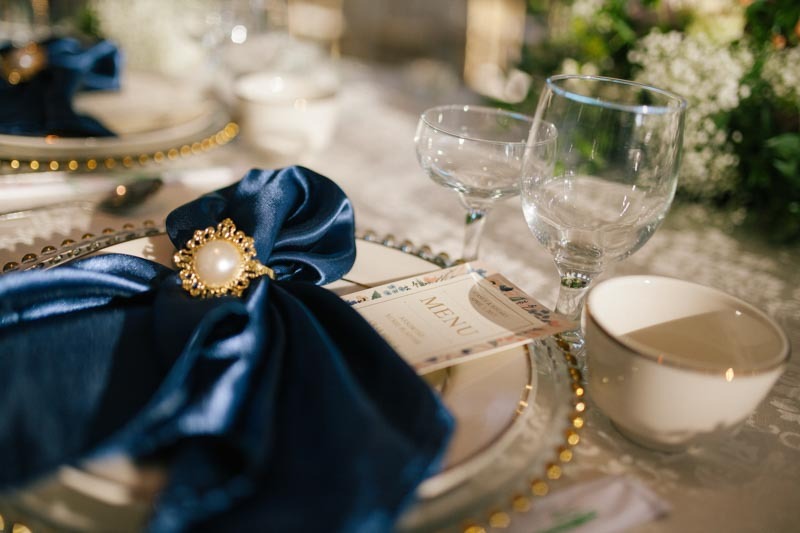 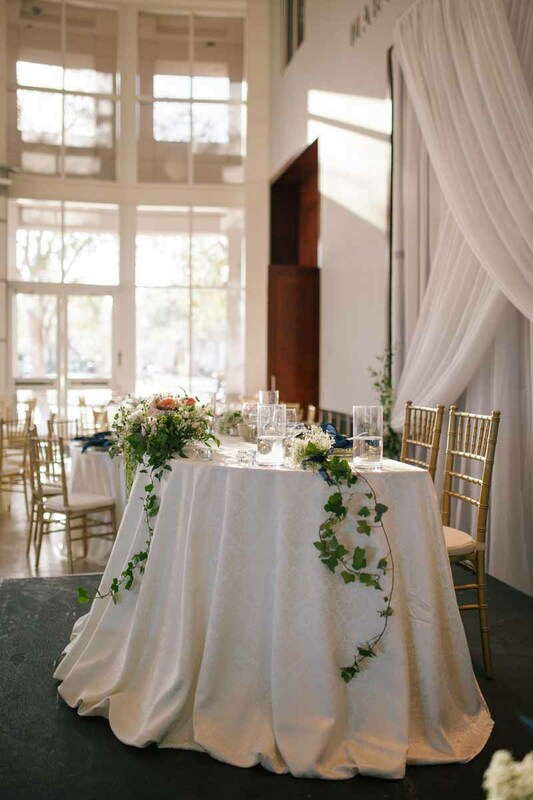 Blue and gold accents decorated the room, and leafy vines cascaded off of the sweetheart table. 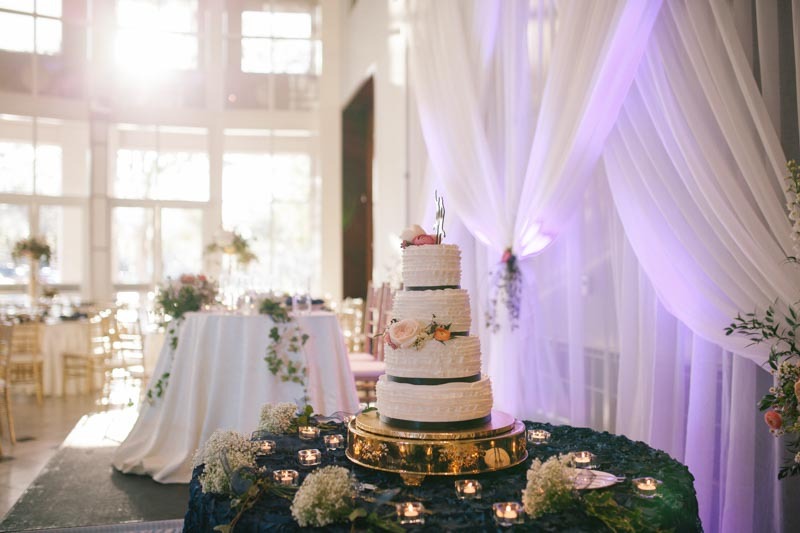 A simple but elegant cake sat atop a gold cake stand as guests dined, mingled, and danced the night away! 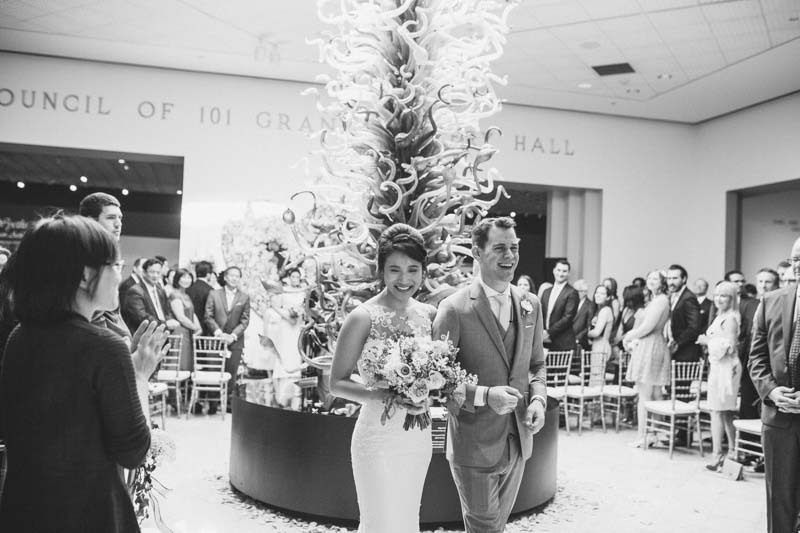 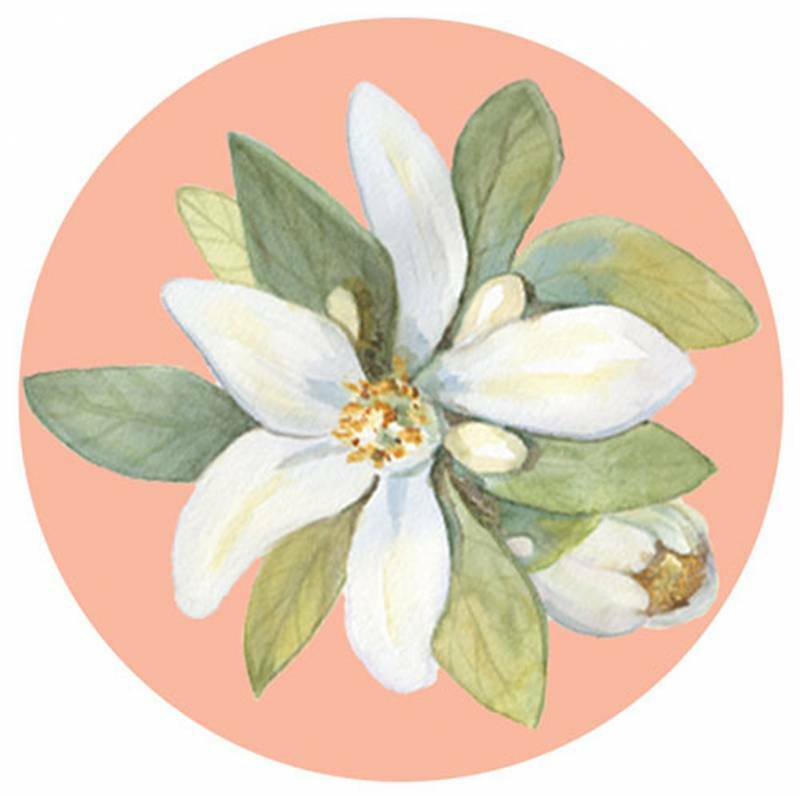 Check out the pretty details of Casey and Stuarts big day below!